This is the second part of a three-part post. My aim is to help you get “Red” or “Clicked” on in SERPs. If you’ve read my previous post on this subject you will know making the analogy of the “Red Jersey” wearing crew members in Star Trek who, you know will get shot – if you manage to get your profile picture up in the SERPs results, you are highly likely to get clicked. 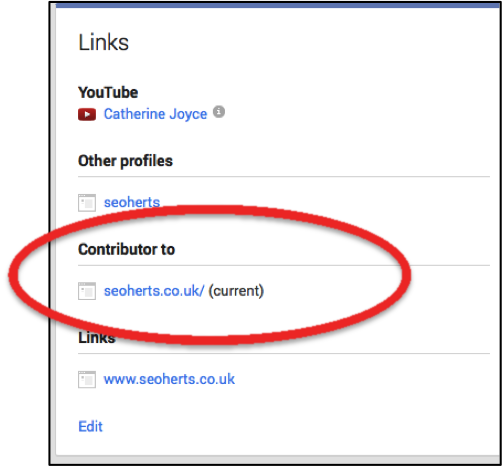 Add your sites URL to the contributor attribute in your “About” Page’s “Links” section within your Google+ Account Profile. Navigate to the “Post” page and copy out the URL for that page. 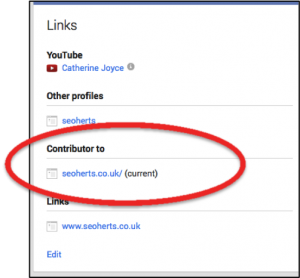 You are now ready to add the link from your site back to your Google+ profile and Google will do the rest, i.e. grab your avatar and display it in SERPs. When it decides the time is right! In practice this means that you add the above code to the <head> section of your site. When your site has been re indexed by Google, and, when Google decides to act on this cue, your avatar will appear in SERPs!